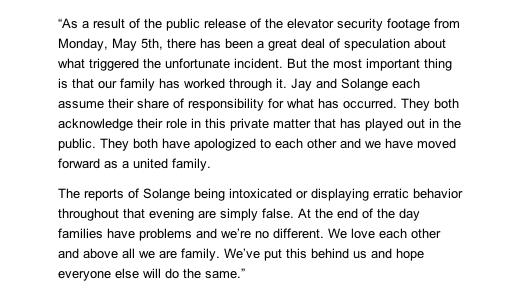 Beyoncé took it upon herself to clear the air with an official statement via the AP. She is absolutely 100 percent correct! If only cameras were rolling at some of my family functions. Lets keep moving people, nothing to see here folks.